The U.S. Green Building Council (USGBC) recently released a real-time building monitoring and scoring platform called LEED Dynamic Plaque, enabling building managers to benchmark, monitor, and improve their building’s performance on an ongoing basis. The program has been recognized as a “game-changer” in building certification schemes, avoiding standards which were traditionally based on a building’s design or a static snapshot of its performance at one point in time. USGBC’s innovation is indicative of a growing trend to track performance information, empowering building managers and occupants to take action to improve a building’s energy use. The USGBC’s work on buildings is extremely significant. Buildings account for a third of global energy use and GHG emissions, and often account for an even larger fraction in cities. When considering approaches for cutting down carbon emissions and providing affordable, secure energy, cities should prioritize building efficiency. A core policy for monitoring and improving a building’s energy performance is energy benchmarking, the process of collecting building energy use data over time and comparing it to buildings with similar characteristics to encourage efficiency improvement actions. Interest in using data to improve building performance has led to an increasing number of businesses and cities worldwide launching benchmarking programs—both voluntary and mandatory. However, benchmarking programs themselves do not automatically lead to more efficient buildings. Their effectiveness depends on whether the information provided is effective at triggering actions by decision makers and, most importantly, owners, managers and occupants. When used well, this information can influence how building equipment is operated, how buildings are renovated, which appliances are purchased, and how occupants behave. A successful benchmarking program should not only provide information, but also do so in a way that makes the information motivational and actionable. Below are three ways some programs are transforming benchmarking programs into more effective tools to improve building energy efficiency. Adding game elements into benchmarking programs provides competitive motivation to building stakeholders, making them more likely to take energy saving actions. “Competitions” related to building efficiency typically involve multiple buildings trying to best each other at a particular metric, while “challenges” refer to individuals, households, or communities striving to improve over their own historical baselines. 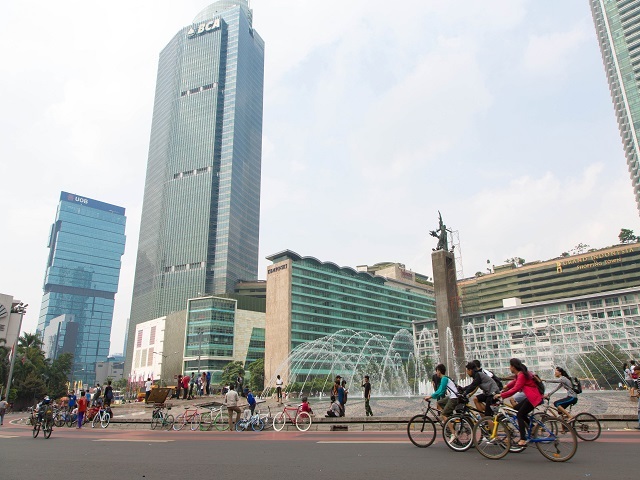 For example, in Indonesia, 16 schools from the Greater Jakarta area competed to become “Energy Efficiency Champion” as part of the national Home and School Energy Efficiency Competition (HSEEC). The energy consumption of participating schools was made publicly available monthly so schools could monitor their progress compared to other schools. Principals were motivated to take action to improve their schools and students were encouraged to save energy both on campus and at home. Participating schools saw a significant decrease in energy consumption after the three month competition, ranging from 10 percent to 35 percent. Many energy benchmarking tools provide only monthly aggregate data on all energy use in a building, leaving building managers guessing about the specific actions needed to reduce their bills. Training for building operators—on how to use benchmarking data as a foundation for action—is crucial for making the most of benchmarking to generate energy savings. When building operators have the right information and know how to use it, something as simple as adjusting schedules for heating, ventilating, and air conditioning (HVAC) can save 10 percent of energy costs. In the United States, use of the basic, industry-standard benchmarking tool, Portfolio Manager, has been documented to produce an annual energy savings of 2.4 percent. But that is just the baseline. ENERGY STAR, the program that administers Portfolio Manager, encourages building managers to use other tools and trainings to complement their benchmarking platform to achieve additional energy savings. For example, graduates of one training option, Building Operator Certification, are reducing electrical bills by 2.03 percent and natural gas charges by 3.58 percent in the buildings they manage, compared to non-certified operators with the same equipment responsibilities. Benchmarking is only valuable if the right people have access to the results. Public policy can ensure that benchmarking results are transparent and available to inform the actions of decision makers in the real estate market. However, policy designs differ as to how, when, and to whom benchmarking information is made available. Some cities are experimenting with various disclosure requirements in the hope that transparent information on operational performance will influence buyers and sellers to consider energy efficiency. With access to this information, prospective buyers and tenants are now able to consider energy costs when deciding whether to buy or rent a property, influencing owners to pay more attention to the energy use in their buildings. Research on the U.S. property market shows that the selling prices of green buildings relative to comparable buildings nearby are more than 13 percent higher. Australia’s Commercial Building Disclosure (CBD) program requires commercial buildings over 2,000 square meters (21,500 square feet) to obtain a Building Energy Efficiency Certificate (BEEC), which provides information on the energy use in the building. Building owners are also required to disclose the BEEC results through a public database to potential buyers or renters, and in any advertisement of the property. 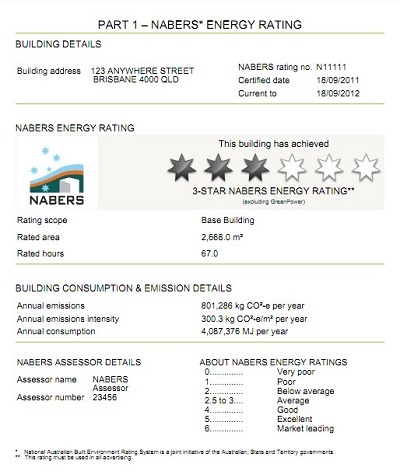 Among other elements, obtaining a BEEC requires an energy rating from NABERS, a performance-based rating system similar to benchmarking. The policy is promising: buildings that have applied for more than one BEEC have improved energy consumption on average by 4 percent. Building energy benchmarking is gaining momentum internationally, with more than 60 building rating systems in 41 countries worldwide. Data and information available today can allow owners and managers to determine the relative performance of their buildings. More importantly, through smart outreach and policy, data on energy use can motivate action on the ground. As more jurisdictions and businesses adopt and improve benchmarking programs, they will do well to utilize their benchmarking programs to foster change. For updates on buildings as a solution for cities of the future subscribe to the Building Efficiency Initiative newsletter.